You'll find yourself falling in love with Juniper Moon Farm Moonshine because working with the wool, alpaca and silk blend is totally intoxicating. This yarn offers sheen, drape, softness, warmth and structure because of its luxurious fiber content. Moonshine is considered a worsted to aran weight with a single ply construction. 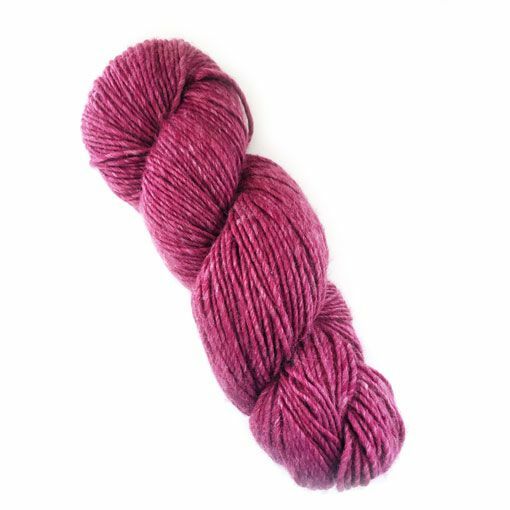 Each of the fibers used to create Moonshine takes to the dye differently creating a complex color palette of vibrant semi-solid tonals that when worked up appear slightly heathered.